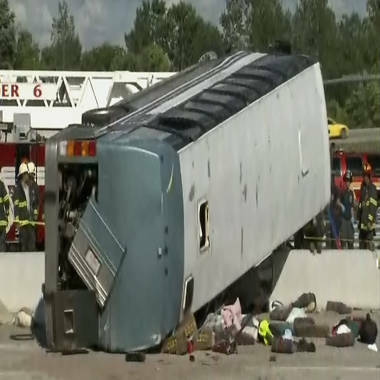 Three people are dead and several more are critically injured after a bus returning from a church summer camp overturned outside Indianapolis. NBC's Lester Holt reports. Three people are dead and several more are critically injured after a bus returning from a church summer camp overturned in Indianapolis, officials said. Thirty-seven passengers were on the bus when it overturned, entrapping five people, the Indianapolis Fire Department said on its Twitter feed. A large diesel spill resulted and HazMat crews responded to the scene, they said. Six passengers were treated and released on the scene. An Indiana Fire Department spokesman said 28 passengers were taken to area hospitals: 10 to Riley Hospital for Children; one to Wishard Memorial Hospital; nine to Indiana University Methodist Hospital; two to St. Vincent Pharma Center; and six to Community North Hospital. The passengers were reported to be from the Colonial Hills Baptist Church, which is in Indianapolis, according to its website. "Please be in prayer for our church family as we look to the Lord for grace during the teen bus accident today," the church said in a statement posted on Facebook. "Details will be released at a later time, but prayers are our greatest need right now." 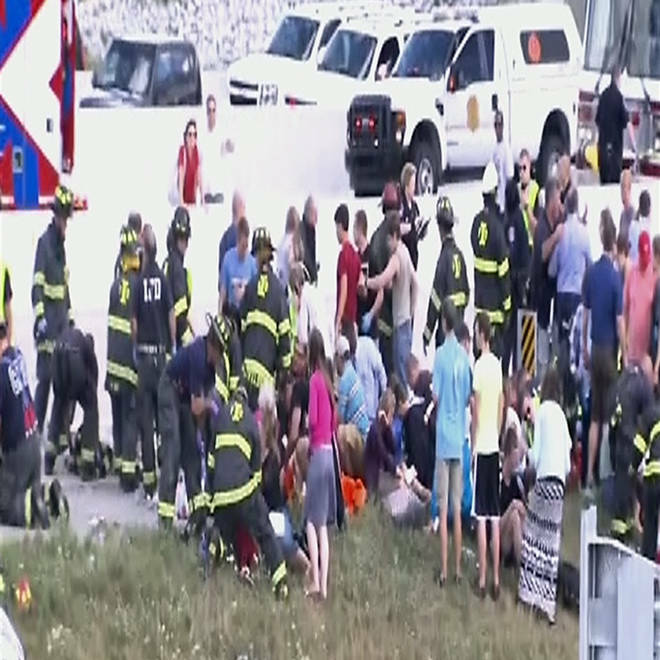 Three injured passengers were taken to St. Vincent Pharma Center in Indianapolis, spokesman Johnny Smith confirmed to NBC News. All patients have been transported from the scene, the Indianapolis Fire Department said on its Twitter feed.